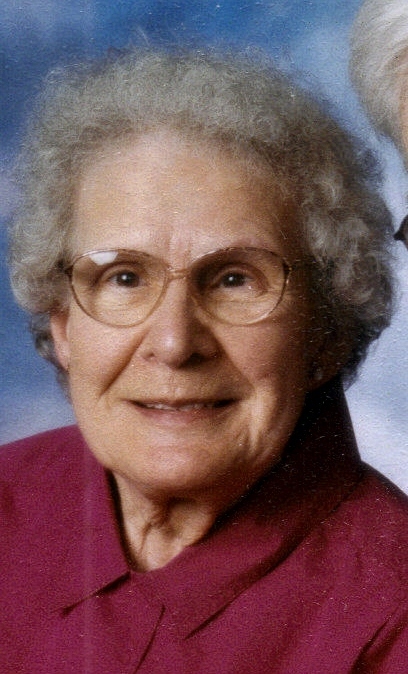 Marcella Gardner, age 85 of Brandon, died Thursday, April 23, 2009 at the Bethany Lutheran Nursing Home in Sioux Falls. Sophia Marcella Lampe, daughter of George and Anna (Keller) Lampe, was born May 23, 1923 on a farm near Salem. She grew up in the Salem area. On April 14, 1953 she married Robert F. Gardner in Salem. They lived in Sioux Falls, rural Garretson, and then Brandon. Her husband died in 2002. She was a member of the Risen Savior Catholic Church of Brandon. She worked at Manchester Biscuit Company for about 10 years and then became a homemaker. Marcella enjoyed oil canvas painting and embroidery as a hobby. Marcella is survived by six children: Cliff and wife Lori of Colton, Ron and wife Laurie of Worthing, LeeAnn of Sioux Falls, George and wife Joan of Sioux Falls, Kevin and friend April of Sioux Falls and Mary and husband Collin Benson of Harrisburg; nine grandchildren, four great-grandchildren, one brother Carl and wife Marjorie. She was preceded in death by her two brothers, Alvin and Phil; and two sisters, Cecilia and Veronica. Visitation will begin at 5:00 PM Sunday at Barnett-Lewis Funeral Home with a Scripture Vigil at 7:00 PM followed by the Rosary. Mass of Christian Burial will be Monday, April 27, at 10:30 AM in Risen Savior Catholic Church in Brandon.